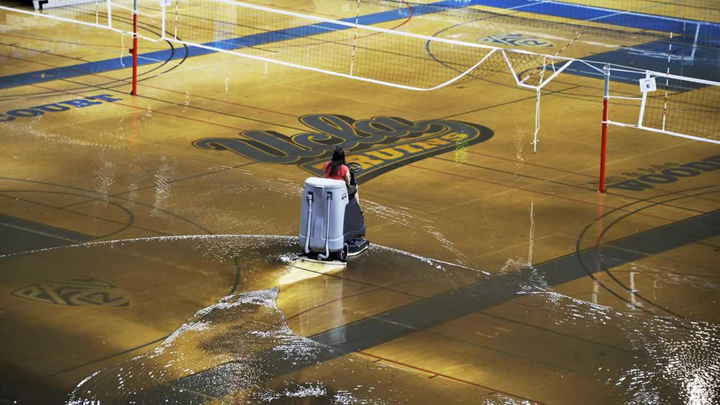 A pair of City Council members introduced a motion July 30 calling for a report from the Department of Water and Power on the water main break that flooded streets and inundated portions of the UCLA campus. The motion by Council President Herb Wesson and Councilman Paul Koretz, whose district includes the Westwood area, instructs the DWP to report on the status and cause of July 29th’s rupture and the water main's operational history and any prior physical integrity issues. It also calls for a report on the status of DWP's water infrastructure program and whether the ruptured main had been scheduled for repair or upgrade; steps that can be taken to reduce any damage or impact on the public and surrounding property, such as technology that can give advance warning of ruptures; and a report on the utility's long-term efforts to replace aging water system components and improve system reliability, including exploring a faster replacement schedule. The motion will likely be heard later this week in the Energy and Environment Committee, chaired by Councilman Felipe Fuentes, Wesson said. Wesson and other city leaders visited the site of the ruptured water main Wednesday afternoon to assess the extent of the damage, consider the next steps and discuss efforts to replace the city's aging water-delivery infrastructure. Even though the images of water gushing out of a hole in Sunset Boulevard were dramatic, ``we can't react to the way that it looked,'' he said. The city will work to ``secure the situation right now and make sure the plan we have moving forward makes sense.'' There also needs to be a ``conversation'' about how to ``fast-track'' repairs for this latest break and other water infrastructure improvements, he said.